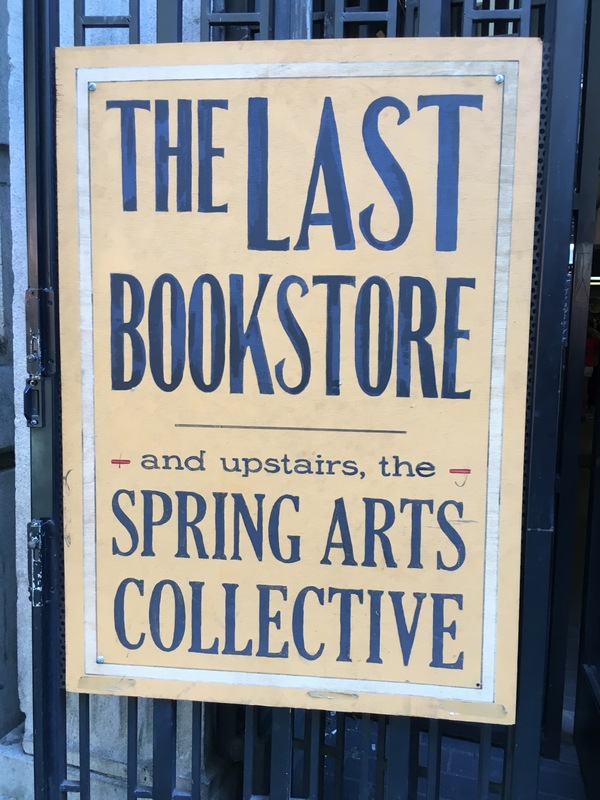 Having a spare hour, I searched my favorite local used book store again for a copy of Thomas S. Klise’s 1974 cult novel The Last Western. I’d like to write about The Last Western more, and I only have a samizdat digital copy (clearly made by someone who deeply loves this out of print novel). It’d be nice to check the digital copy against an actual book of course. Anyway, I didn’t find the Klise, despite extending my search to, um, westerns. (I see interlibrary loan in my future). Really, any indie press that brings The Last Western back into print will find plenty of readers (and champions for the book). Little known in this country when he died in 1979, Landolfi is scarcely better recognized today, a situation this collection of 24 stories, with an introduction by Italo Calvino, is intended to remedy. Landolfi did not aspire to amuse or entertain in the usual sense; he preferred to confound and mystify. Even in his relatively conventional stories he scarcely bothered to inquire into motive or seek resolution. In “Uxoricide,” for example, a wife-murderer sets out to kill the shrew for reasons that do not seem quite sufficient, so that the act itself appears brutal and sadistic. In “A Woman’s Breast,” a man lusts after that part of a stranger until he attains it, is thereupon sickened by the sight and discovers odd morbidities within himself. Landolfi’s overriding interests–language and its literary possibilities, metaphysics, literary criticism—necessarily limit his audience. He saw the writer as one who spits words (see the title story), and he set himself against the critics who accused him of being “utterly indecipherable and mysterious.” That is, however, a challenge hurled at the reader. You can read “Gogol’s Wife,” probably Landolfi’s most famous story, here. A highlight of an unexpected trip to Los Angeles a few weeks ago was getting to meet “in real life” with some people I’ve gotten to know over the internet. I met up with Ryan Chang, who’s written a number of excellent reviews for Biblioklept, and Adam Novy, whose novel The Avian Gospels is one of the best contemporary novels of the last decade. The weirdest part about hanging out was that it wasn’t weird at all. The Little Town Where Time Stood Still contains two linked narratives by the incomparable Bohumil Hrabal, whom Milan Kundera has described as “Czechoslovakia’s greatest writer.” “Cutting It Short” is set before World War II in a small country town, and it relates the scandalizing escapades of Maryška, the flamboyant wife of Francin, who manages the local brewery. Maryška drinks. She rides a bicycle, letting her long hair fly. She butchers pigs, frolics in blood, and leads on the local butcher. She’s a Madame Bovary without apologies driven to keep up with the new fast-paced mechanized modern world that is obliterating whatever sleepy pieties are left over from the defunct Austro-Hungarian Empire. “The Little Town Where Time Stood Still” is told by Maryška and Francin’s son and concerns the exploits of his Uncle Pepin, who holds his own against the occupying Nazis but succumbs to silence as the new post–World War II Communist order cements its colorless control over daily life. Together, Hrabal’s rousing and outrageous yarns stand as a hilarious and heartbreaking tribute to the always imperiled sweetness of lust, love, and life. Ryan picked up a first edition hardback of an Edward St. Aubyn novel and something else I can’t remember. The clerk also let us check out some of the signed hardbacks behind the counter, and I somehow didn’t spend sixty bucks on a copy of Ray with Barry Hannah’s signature. I spent most of the next day wandering around downtown Los Angeles. Everyone had told me to check out The Last Bookstore, and I wasn’t disappointed. I spent over an hour browsing the huge space, wishing I had more time to linger, especially in the upstairs labyrinth and the wonderful little annex of art books and monographs. 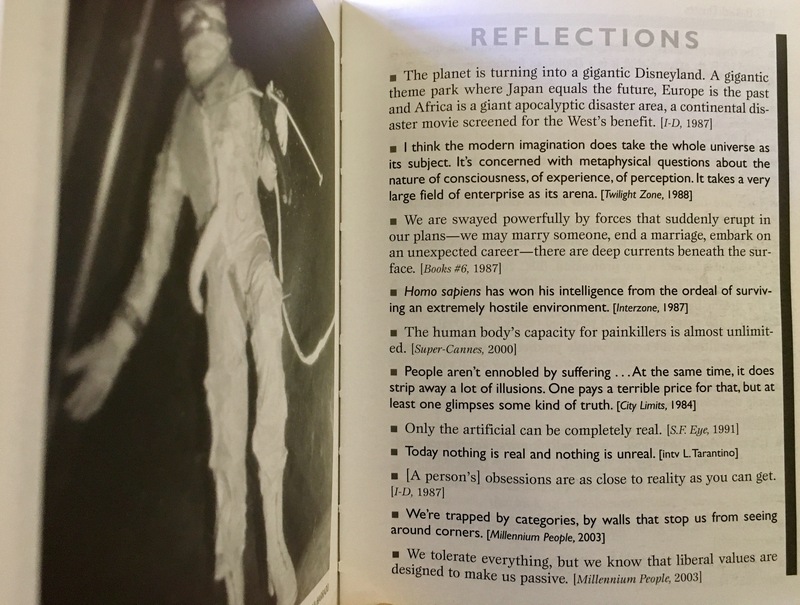 I ended up buying the first book I handled at The Lost Bookstore, RE/Search’s 1990 oversized and illustrated edition of J.G. 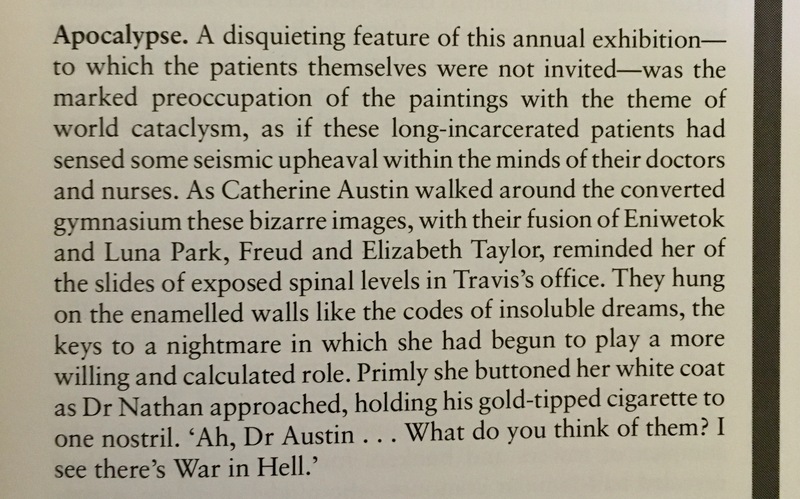 Ballard’s The Atrocity Exhibition. 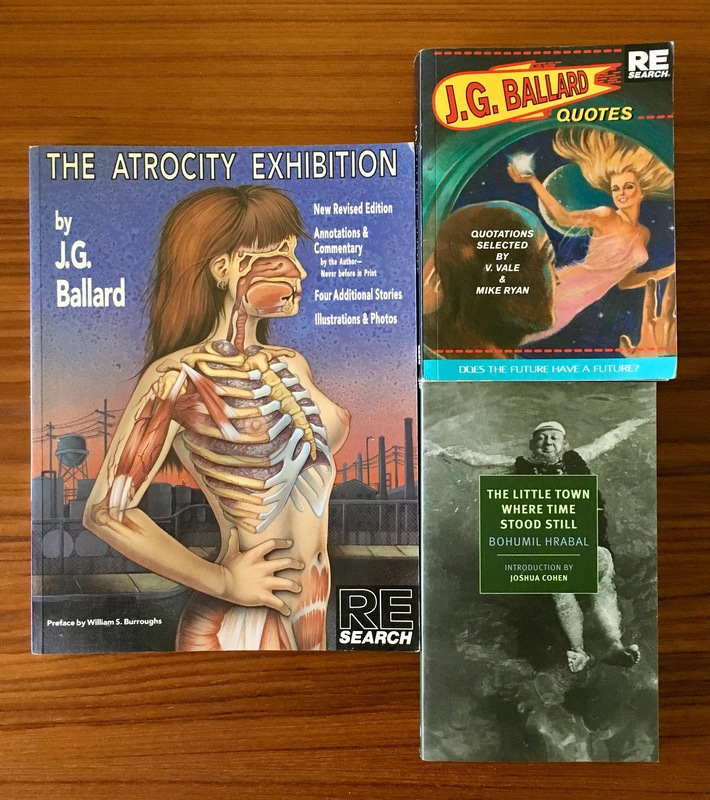 This is one of the first Ballard books I read, actually—a good friend of mine collected RE/Search titles throughout the nineties and let me borrow them. (I always returned them). I didn’t make it to the Iliad Bookshop in North Hollywood, but, hey, save something for next time, right? I had been awake for almost twenty hours when I walked out of the Warner Center Marriott’s arctic AC into the concrete heat of the San Fernando Valley. My wife had to work for a few hours, so I was looking for a bar or something—something other than the hotel lobby (or LA traffic). There was an enormous mall across the street, the Westfield Promenade. I entered by the AMC Theatre, one of the only five businesses remaining in the sprawling two-storied mall (it’s over half a million square feet). It was over 100 degrees outside in the Valley’s afternoon heat, and the mall was unairconditioned, stale, expansive but somehow stifling. The place appeared entirely empty except for a stray bored AMC employee scrolling through her phone. (Later, I’d see a man sleeping on a table and an inattentive security guard). A sad scatter of arcade games defined a loose threshold between the AMC’s going concern and the rest of the mall, which was clearly dead. There’s something wonderfully Ballardian about dead malls—their vastness, the traces and ghosts of commerce stamped on them, echoes of a lost vibrancy that simultaneously suggest new and even unimagined future possibilities. I love dead malls. I was born in 1979, and these kind of malls–the kind best summed up in their vitality in a film like Fast Times at Ridgemont High—helped to define my youth (even if I defined myself in part against the mall and mall culture): I bought the Breeders’ album Last Splash on tape at Camelot Music; I suffered through Stone’s Natural Born Killers; I ate at the weird cafeteria, cornbread squares and Jell-O squares wobbling on ugly green plastic trays. Once, I saw Glenn Danzig browsing at the B. Dalton book store. 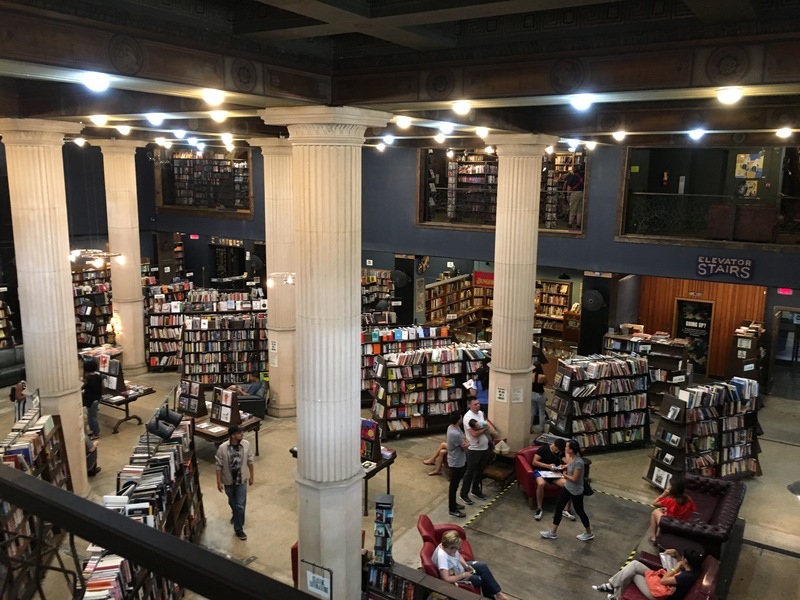 Of the half dozen remaining stores in the Westfield Promenade, only one is a retail space—oddly enough, a bookstore—Crown Books, a large spot that looked like it once sold new books but now seems to only sell old books, many of them Christian. Half of the space also seems to double as a Halloween store. The power went out twice while I was in there. The hardbacked spine of Gerhard Kopf’s novel There Is No Borges caught my attention. It was part of a large section of “clearance” books (although everything in the store seemed to be on clearance). These books were a dollar each or five for a dollar, a mathematics that screams, Please haul these away for us. (Earlier that day at the Charlotte airport, I’d paid three dollars for 16 ounces of bottled water). (Later that night my wife and I walked a few blocks past the dead mall to the live mall—an outdoor mall, vibrant, green, bustling with children and their adults and pets, music, water, chain stores, and boutiques, and crowded restaurants. There wasn’t a bookstore there). I picked up Brazilian author Joaquim Maria Machado de Assis’s 1881 novel The Posthumous Memoirs of Brás Cubas today. I picked it up because of an oblique recommendation via Twitter a few weeks ago when I was raving about Antonio di Benedetto’s novel Zama. I got Gregory Rabassa’s translation (I dipped my toe into his translation of Miguel Ángel Asturias’s 1963 novel Mulata a few weeks ago). The novel is narrated by the dead protagonist Brás Cubas, who tells his own life story from beyond the grave, noting his mistakes and failed romances. The fact of being already deceased allows Brás Cubas to sharply criticize the Brazilian society and reflect on his own disillusionment, with no sign of remorse or fear of retaliation. Brás Cubas dedicates his book to the first worm that gnawed his cold body: “To the worm who first gnawed on the cold flesh of my corpse, I dedicate with fond remembrance these Posthumous Memoirs” (Portuguese: Ao verme que primeiro roeu as frias carnes do meu cadáver dedico com saudosa lembrança estas Memórias Póstumas). Cubas decides to tell his story starting from the end (the passage of his death, caused by pneumonia), then taking “the greatest leap in this story”, proceeding to tell the story of his life since his childhood. I like to shuffle around my favorite used bookstore on Fridays if I have a loose hour. This afternoon, I picked up three: A first-ed. 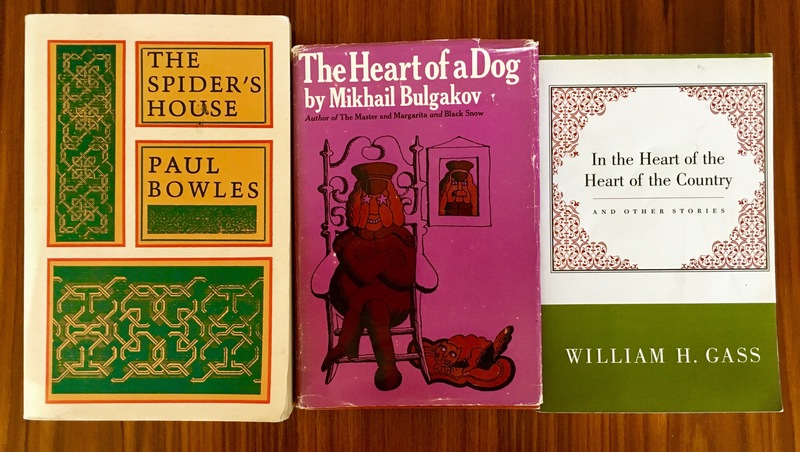 U.S. hardback Bulgakov, an Ecco-Press-imitating-Black-Sparrow-Press Paul Bowles, and a stately-but-too-stately-too-prestigish-(as-opposed-to-“prestigious”) copy of William H. Gass’s In the Heart of the Heart of the Country. I think I read the next story (it’s much shorter), “Mrs. Mean,” but I confess I can’t recall it right now. I do remember returning the book to the library though. 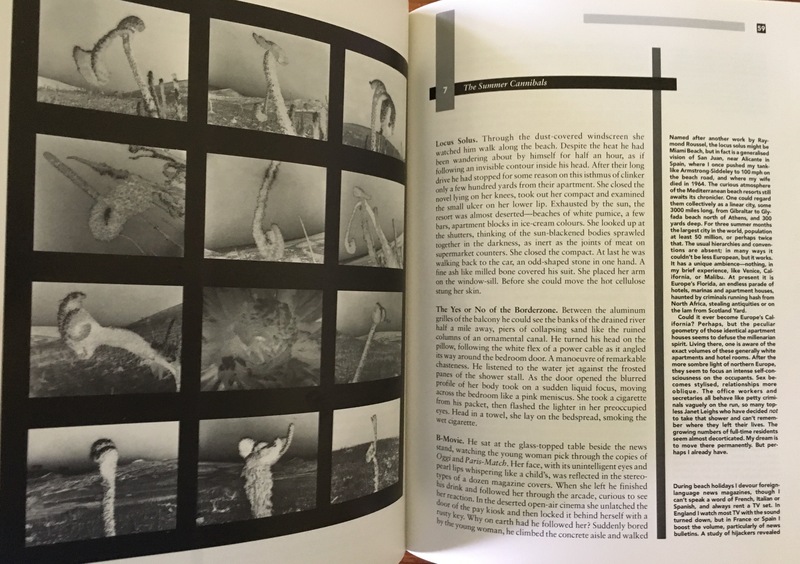 The design of the Paul Bowles Ecco Press edition of The Spider’s House kinda sorta matches the design of In the Heart of the Heart of the Heart of the Heart (Nonpareil Books, btw). I recently finished Up Above the World (after reading and being slightly-disappointed in the more-lauded debut The Sheltering Sky). I liked Up Above the World’s sinister slow-burn. My understanding is that The Spider’s House is considered superior, so we’ll see. (2017 is turning into The Year I Finally Read Paul Bowles). Mikhail Bulgakov’s samizdat Soviet-era novel Master and Margarita has improved in my memory; reviewing my review of it a few years ago, I find that I remember it fondly, and stronger. (I wrote that it “sags at times”; I don’t remember the saggy bits, but I recall its fun effervescent evil bits). 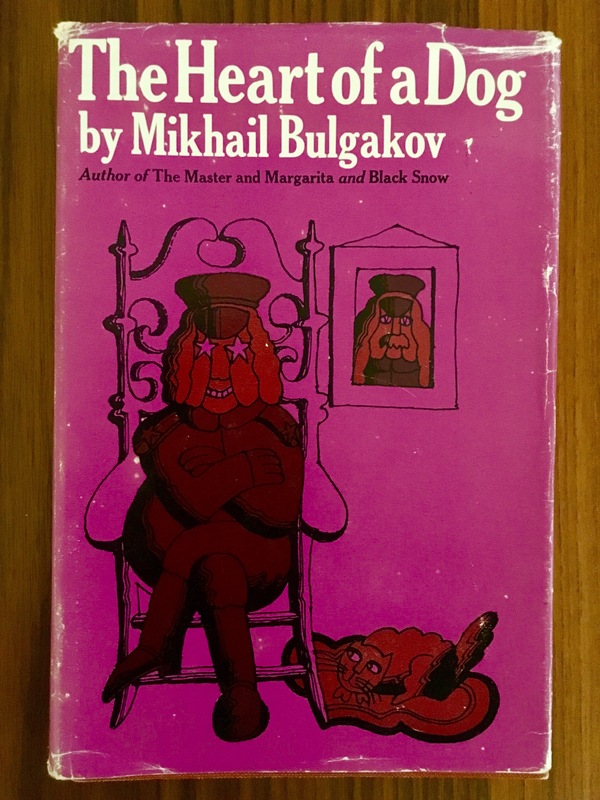 Anyway, I couldn’t pass up on this first-edition U.S. copy (1968 Harcourt, Brace & World) of Bulgakov’s novel The Heart of a Dog (English translation by Michael Glenny, with jacket design by Applebaum & Curtis, Inc.). I also took note of this cover for Edges, a 1980 sci-fi anthology edited by Ursula K. Le Guin and Virginia Kidd (and featuring authors like Thomas Disch and Gene Wolfe)—but I didn’t pick it up, mostly because I didn’t particularly have any desire to read it, even though a much younger version of me out there would’ve loved to read it. I mean, I was thinking about that younger version of me out there; maybe that version—a different version of course—will find it. 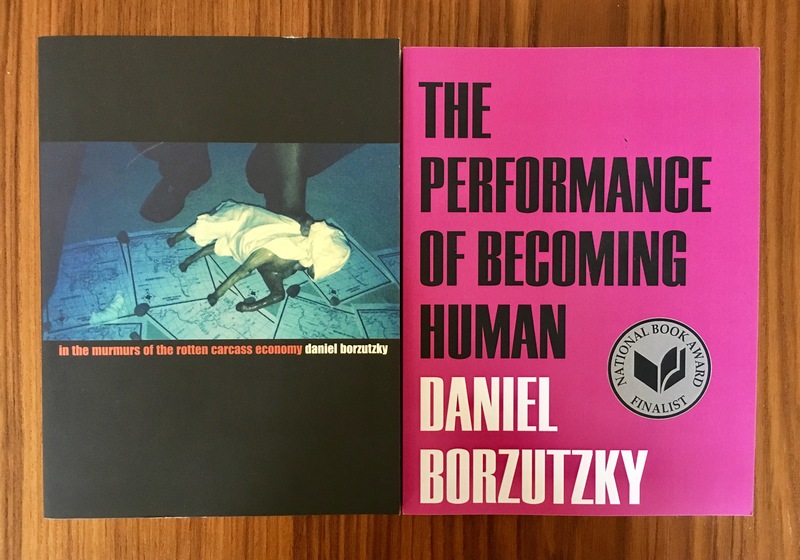 Big thanks to BLCKDGRD for sending me two books of poetry by Daniel Borzutzky. I’d never read Borzutzky before, but I dig it so far. 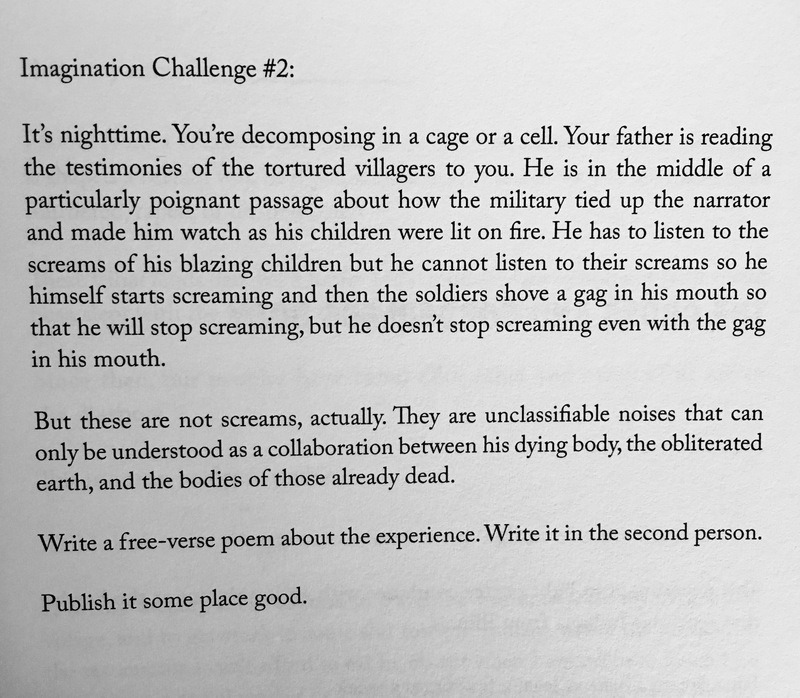 These poems are abject—stuff about what it means to have a body, to have some horror at having a body, etc. Two volumes of Franz Kafka’s letters are forthcoming next month from Schocken: Letters to Friends, Family, and Editors; and Letters to Felice. Both covers are designed by Peter Mendelsund (as are all those lovely Schocken Kafka editions). Collected after his death by his friend and literary executor Max Brod, here are more than two decades’ worth of Franz Kafka’s letters to the men and women with whom he maintained his closest personal relationships, from his years as a student in Prague in the early 1900s to his final months in the sanatorium near Vienna where he died in 1924. Sometimes surprisingly humorous, sometimes wrenchingly sad, they include charming notes to school friends; fascinating accounts to Brod about his work in its various stages of publication; correspondence with his publisher, Kurt Wolff, about manuscripts in progress, suggested book titles, type design, and late royalty statements; revealing exchanges with other young writers of the day, including Martin Buber and Felix Weltsch, on life, literature, and girls; and heartbreaking reports to his parents, sisters, and friends on the declining state of his health in the last months of his life. Franz Kafka met Felice Bauer in August 1912, at the home of his friend Max Brod. Energetic, down-to-earth, and life-affirming, the twenty-five-year-old secretary was everything Kafka was not, and he was instantly smitten. Because he was living in Prague and she in Berlin, his courtship was largely an epistolary one—passionate, self-deprecating, and anxious letters sent almost daily, sometimes even two or three times a day. But soon after their engagement was announced in 1914, Kafka began to worry that marriage would interfere with his writing and his need for solitude. The more than five hundred letters Kafka wrote to Felice—through their breakup, a second engagement in 1917, and their final parting in the fall of that year, when Kafka began to feel the effects of the tuberculosis that would eventually claim his life—reveal the full measure of his inner turmoil as he tried, in vain, to balance his desire for human connection with what he felt were the solitary demands of his craft. Picked up Samuel Delany’s famous/infamous novel Dhalgren today. I had an Audible credit and used it to get the audiobook (35 hours! ), but as always, I need to do a tandem thing. Four review copies in yesterday’s mail (solicited and unsolicited). I get behind on these books acquired posts, so I’ll lump the books in all at once and quickly. I have always had faith that the best writers will rise to the top, like cream, sooner or later, and will become exactly as well-known as they should be-their work talked about, quoted, taught, performed, filmed, set to music, anthologized. Perhaps, with the present collection, Lucia Berlin will begin to gain the attention she deserves. The kind people at Nobrow sent along three gorgeous Hilda graphic novels by Luke Pearson ten days ago, and we’ve (my family, I mean) read each of them repeatedly since then—we’ve read them independently and to each other (my daughter started her own Hilda comic). I’ll have a proper essay-review thing up down the line, but for now, the short review: These are excellent, gorgeous books—funny, richly-detailed, sweet, and just a little scary (when they need to be). Eastern Europe, August 1942. The Khazar kaganate, an isolated nation of Turkic warrior Jews, lies between the Pontus Euxinus (the Black Sea) and the Khazar Sea (the Caspian). It also happens to lie between a belligerent nation to the west that the Khazars call Germania—and a city the rest of the world calls Stalingrad. After witnessing the first foray of Germani warplanes into sovereign Khazar territory, Esther bat Josephus, daughter of Khazaria’s chief policy adviser, knows she must fight for her country. Germania is gaining ground and if they are successful, the Khazar kaganate will be wiped out. Only Esther sees the ominous implications of Germania’s disregard for Jewish lives. But as a woman she is prohibited from joining the war effort. Her one chance is to set out on her mechanical horse, Seleme, accompanied by Itakh, her adopted brother, to seek a fabled village of kabbalists. They may hold the key to her destiny: their rumored ability to change her into a man so that she may convince her entire nation to join in the fight for its very existence against an enemy like none Khazaria has faced before. THE BOOK OF ESTHER is a genre-bending novel by a writer who invents worlds “out of Calvino or Borges” (The New Yorker). Reminiscent of Michael Chabon’s The Yiddish Policemen’s Union and Philip Roth’s The Plot Against America, readers will delight in this tour de force novel which blends rich steampunk fantasy, powerful feminism, and Jewish mysticism into a singular piece of fiction. It is 1938 in England, and Miles and Cecily Ingham have lead the family in bringing the Cavendon estate back from the brink of disaster. But now, with the arrival of World War II, Cavendon Hall will face its biggest challenge yet. It is a challenge that will push the Inghams and Swanns to protect each other and the villagers, and reveal their true capacity for survival and rebirth. 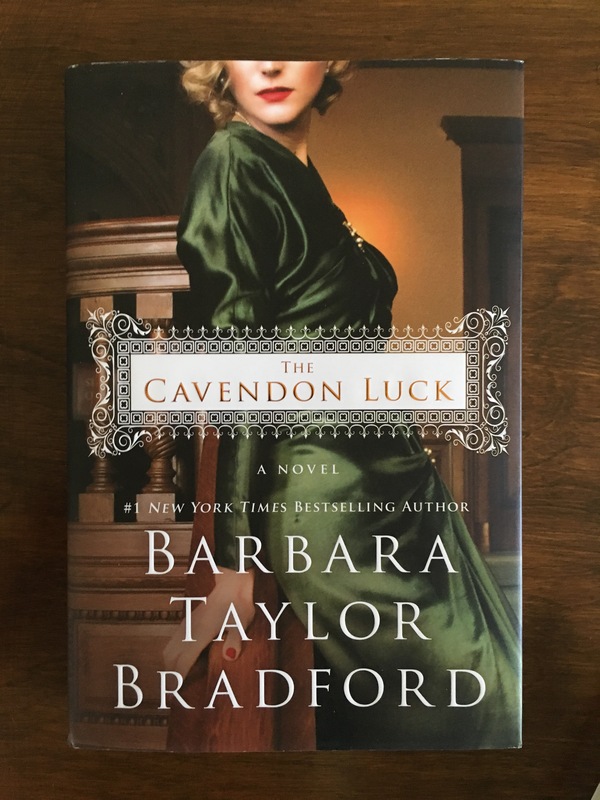 Told with Bradford’s deft, evocative prose and featuring a beloved cast of characters, The Cavendon Luck is a story of intrigue, romance, sorrow, and joy that readers won’t soon forget. The Barbusse literally fell into my hands when I was pulling down a different book. I’d never heard of Hell until today but its title, cover, and blurb — “the most highly study of voyeurism” — sold me. Penguin’s Writers from Other Europe has always intrigued me and the cover alone on Tadeusz Konwicki’s A Dreambook for Our Time led to me picking it up. Two new ones from Biblioasis. 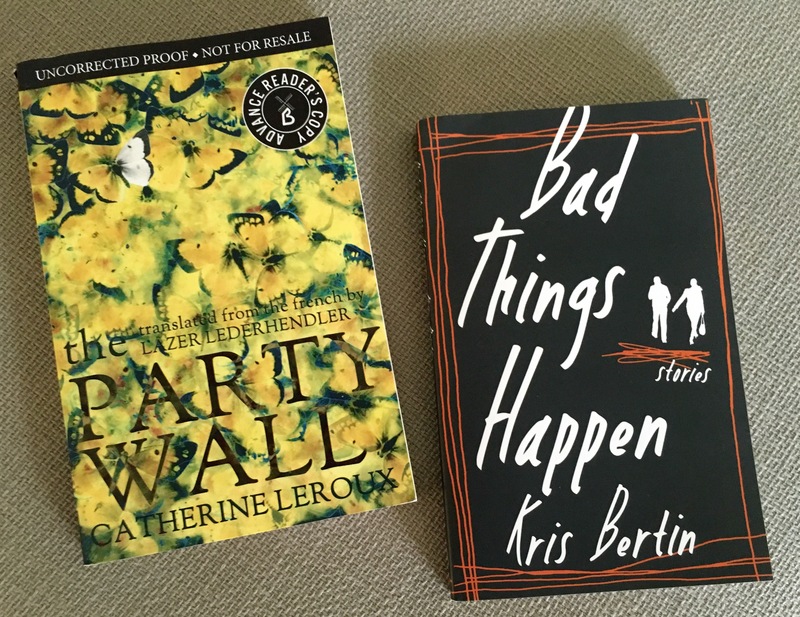 Catherine Leroux’s The Party Wall shifts between and ties together stories about pairs joined in surprising ways. A woman learns that she may not be the biological mother of her own son despite having given birth to him; a brother and sister unite, as their mother dies, to search for their long-lost father; two young sisters take a detour home, unaware of the tragedy that awaits; and a political couple—when the husband accedes to power in a post-apocalyptic future state—is shaken by the revelation of their own shared, if equally unknown, history. Lyrical, intelligent, and profound, The Party Wall is luminously human, a surreally unforgettable journey through the barriers that can both separate us and bring us together. The characters in Bad Things Happen—professors, janitors, webcam models, small-time criminals—are between things. Between jobs and marriages, states of sobriety, joy and anguish; between who they are and who they want to be. Kris Bertin’s unforgettable debut introduces us to people at the tenuous moment before everything in their lives change, for better or worse. My friend gave me Tiny Splendor’s Box of Books, Vol. IX last weekend. I was initially trying to limit myself to looking at one a day but then stopped trying to limit myself to looking at one a day and now I’ve looked at all of them. (Is “look” the right verb? Not sure. “Book” may not be the right noun, either. These book pamphlet art zine comic things are fun though). Jeffrey Cheung’s book cracked me up.